What a great day to stay inside with a hot cup of tea, huh? This rosemary peppermint tea definitely fits the bill! This is the perfect combination of savory and sweet, and I find the two herbs compliment each other perfectly. 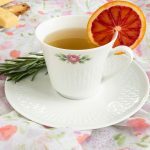 The inspiration for this tea came from studies on the longest lived populations in the world, and their lifestyle habits. 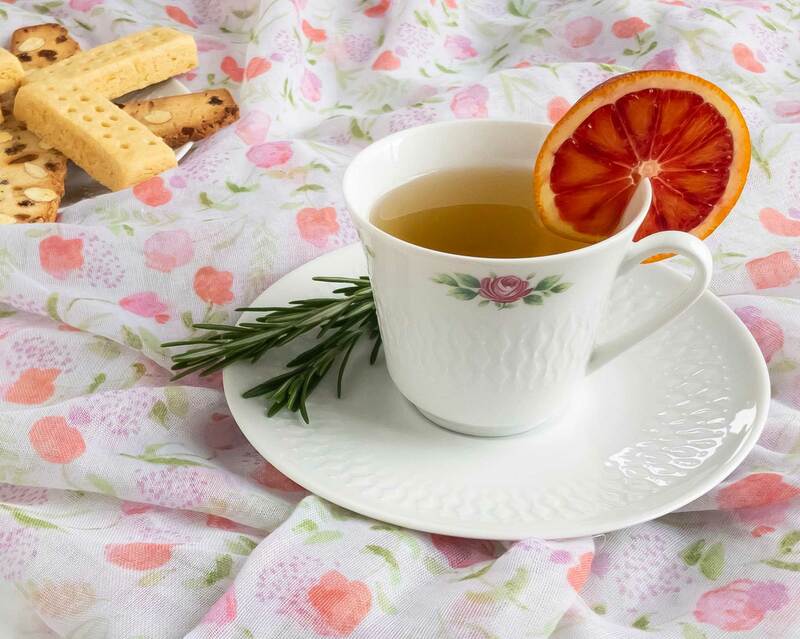 Among many other daily routines, one thing they often partake in is tea made from herbs they grow in their own gardens – like rosemary and oregano. Herbs and spices have more antioxidants than most other fruits or vegetables (which is why it’s good to use lots of them whenever you can! ), so it’s thought this may help contribute to their lower blood pressures and overall health, despite often living well into their 90s and 100s. Now, don’t get me wrong. I’m not saying this little cup of tea is going to magically make your high blood pressure go away. But what I am saying is that this MIGHT help, and no matter what it’s tasty and relaxing – which IS good for your blood pressure! Herbal teas are naturally caffeine free. If you want a little boost, try brewing the below recipe with a bag of green or black tea of your choice. Enjoy! 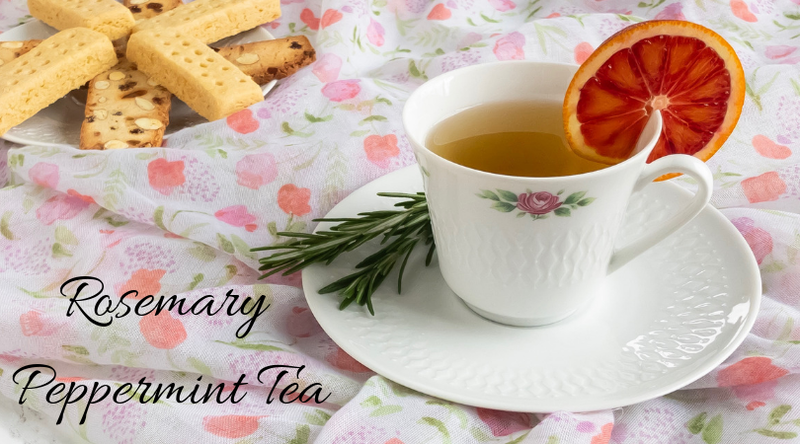 Cozy up to this warm and satisfying herbal tea, perfect for cold days or anytime! Bring 8 oz water to a boil. Meanwhile, use a mortar and pestle to bruise the rosemary a bit. This is optional, but allows the rosemary to release more flavor. Combine the rosemary and mint in a tea strainer, and steep in the hot water for about 5 minutes. Garnish with an orange or lemon slice if desired. If you want a little caffeine in your tea, try steeping the above ingredients with a green or black tea bag. Sounds like a great combination for a great cup of tea. Thank you! !